The biggest news of the week wasn’t a bang, but a whimper. Or rather a realisation. A board game was not all what I thought it was. I’ve been after a negotiation game to fill the void in my collection. However, the majority of those often recommended are extremely difficult to come by. One such title is Tiefe Taschen. This week I learnt that this game has been re-released under the title Goodcritters. I also learnt that it’s in stock at my online game store. And it’s pay day. And by clicking ‘add to cart’ it takes me to check out. And their delivery time is two days. 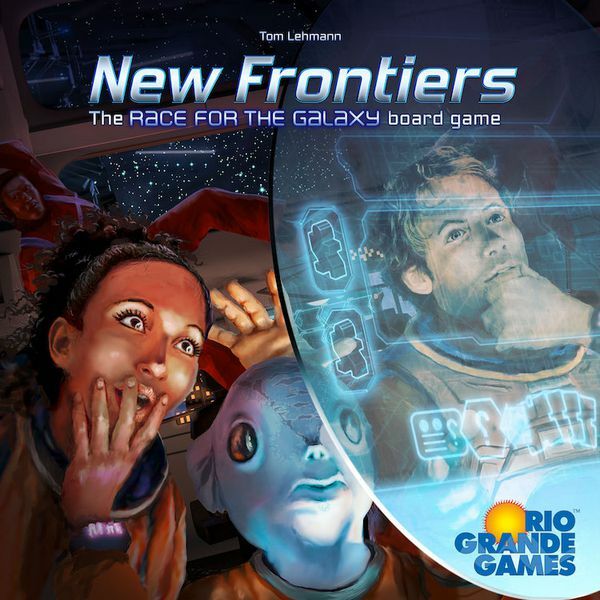 Also in stores is Tom Lehmann’s latest Race for the Galaxy installment: New Frontiers. Meaning there’s a new space engine to build. I, for one can’t get enough of Lehmann’s designs. After my review, I bought five copies of Jump Drive just to blend them into my morning breakfast. So much fiber. If you’ve been following the American news you might have heard a thing or two about a government shutdown. Which is gloomy news. So take your mind off of it, and relax with this old official Pandemic scenario: Government Shutdown. Speaking of gloomy news. Atlas games has announced Gloom of Thrones. 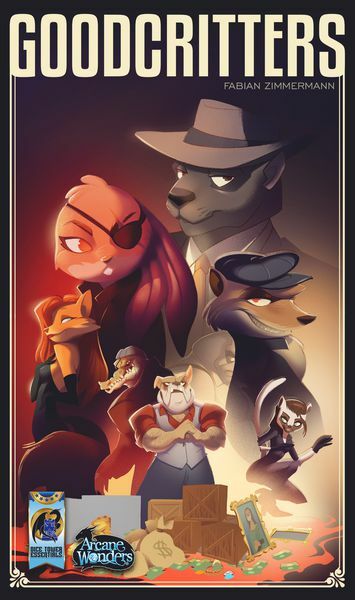 Which is a strong contender for the worst title of 2019. However, it’s still early in the year. While no details are announced. I’m sure we can expect the same gameplay of the previous installments, only with more wolves, hounds, and dragons. 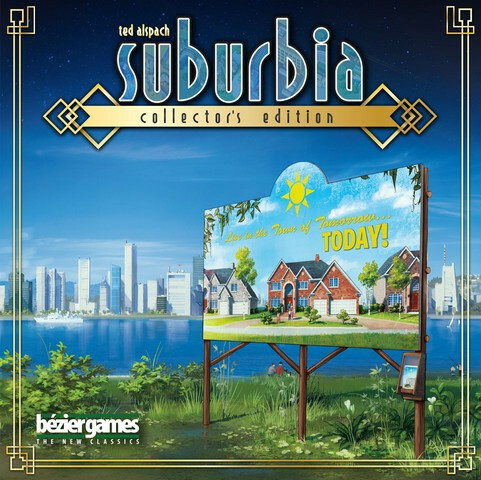 Today, Bezier Games dropped Suburbia Collector’s Edition on to Kickstarter. Dave over on Dude! Take Your Turn! has done an excellent write up on what’s new in the game. It’s also one of the best games I’ve ever reviewed. But, and it’s a big but, it comes in neatly at 180 AUD. That’s a lot of instant ramen. Therefore, I’m going to have to wait and hope it’s cheaper at retail. Please be cheaper at retail. Kolossal Games are bringing their cowboy sandbox game, Western Legends, back to Kickstarter with a new expansion that offers more of everything and a new Narrative event system. Whatever that means. There isn’t much in the way of writing on the page, but backers are lunging at this one like lemmings at a cliff. Rightly so too. The base game release was a massive success, and it’s now comfortably sitting at 7.6 on BGG. So while the town might not be big enough for the two of us. It’s big enough for one of us, and this board game. I’ll see you at high noon. This week’s article comes from Sapphire City Games. A board game shop of all places. They wrapped up the year with a best of list, and nailed it. A great read, and great choices all around. Unfortunately, the Suburbia Kickstarter page says that retail is going to be $30 US more than the Kickstarter. Of course, you’ll probably eventually be able to find it in a sale somewhere, but that could be months. Or maybe $130 US will be a price point most people won’t pay and it will appear in sales more quickly. My wife is encouraging me to pick this up, but I’m still on the fence. If I were living in America I wouldn’t hesitate! But our exchange rate is like 60c to a dollar. It’s killing a lot of great and interesting Kickstarters for me. That’s before shipping as well. Which is 30 dollars USD! My wife asked me again last night whether I was going to back it or not. It’s not a request, more like a “if you want it, get it. Don’t worry about the money” thing.